Tampa General Hospital (TGH) is a private not-for-profit hospital and one of the most comprehensive medical facilities in West Central Florida serving a dozen counties with a population in excess of 4 million. As one of the largest hospitals in Florida, TGH is licensed for 1,007 beds, and with more than 8,000 employees, is one of the region’s largest employers. TGH is the area’s only level I trauma center and one of just four burn centers in Florida. With five medical helicopters we transport critically injured or ill patients from 23 surrounding counties to receive the advanced care they need. The hospital is home to one of the busiest solid organ transplant centers in the country. TGH is a nationally designated comprehensive stroke center and has a 32-bed Neuroscience Intensive Care Unit. Other outstanding centers include cardiovascular, orthopedics, high risk and normal obstetrics, urology, ENT, endocrinology, and the Children’s Medical Center, which features a nine-bed pediatric intensive care unit, pediatric kidney transplant services and one of just three outpatient pediatric dialysis units in the state. As the region’s leading safety net hospital, Tampa General is committed to providing area residents with excellent and compassionate health care ranging from the simplest to the most complex medical services. TGH has an opening for an Infection Prevention Manager. 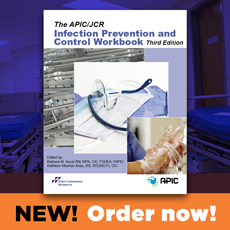 Under general supervision and according to hospital policy and professional guidelines, conducts activity in order to prevent and control the transmission of infection. Follows established guidelines and regulations in the identification and reporting of communicable diseases and healthcare acquired infections. 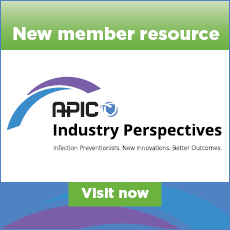 Conducts education as needed for physicians, staff, volunteers, and patients related to prevention of the spread of infection. Routinely conducts surveillance of the environment and reports potential hazards related to infection prevention. Responsible for performing job duties in accordance with the mission, vision and values of Tampa General Hospital.